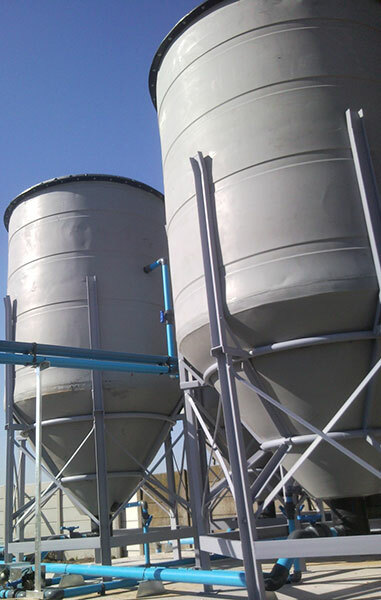 A2V has a standard range of settling tanks for water and effluent treatment. Clarifiers are conventional open settling tanks while our tube settlers are equipped with tube modules for high performance settling. 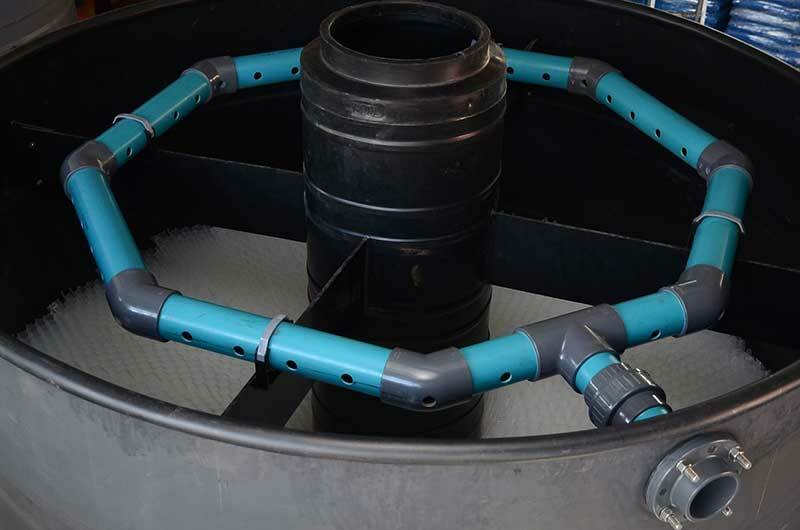 A2V have developed a range of polyethylene settling tanks as a cost effective alternative for lower flow applications. Our settlers are light weight, robust and durable. The design incorporates internal baffles, flocculation tube and collection pipes to optimise settling performance. They are available in diameters up to 2.6m and incorporate 35mm aperture tube modules. Our larger pre-fabricated or in-situ tube settlers are for higher throughput applications. Our prefabricated tube settlers are supplied in epoxy coated mild steel in various sizes up to 6m long x 2.4m wide x 3m high. 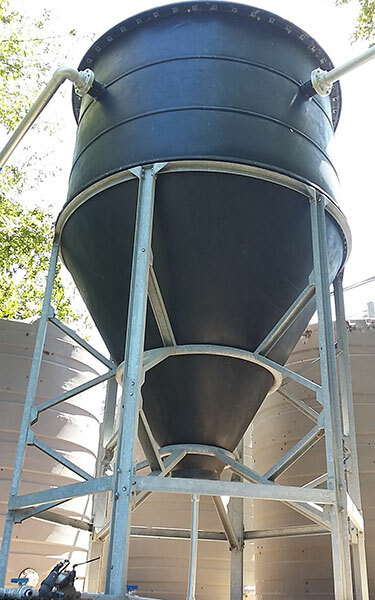 Conventional concrete clarifiers can also be retrofitted with tube modules for improved performance or increased capacity. 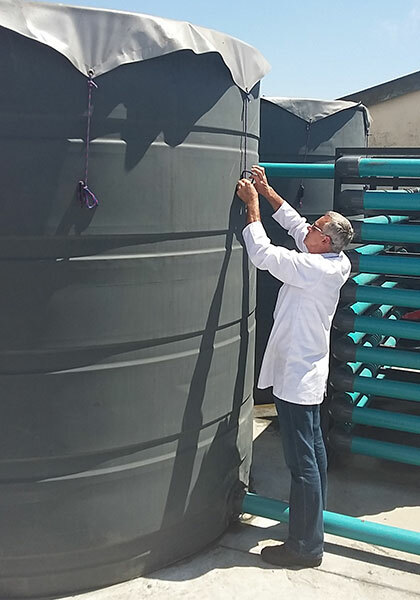 An existing clarifier equipped with tube modules can be operated at 2 to 4 times the loading rate of conventional clarifiers. We can supply UV stablised polyethylene tube modules in apertures of 35mm or 50mm.